The International Plant Nutrition Institute completes a survey of the public and private soil test laboratories of North America every 4 to 5 years. There are numerous challenges to conducting such surveys, since soil test methods and interpretations vary among states and provinces, and change over time as well. Nevertheless, consequential trends are showing up. The 2010 survey included more samples than any previous survey. About 4.5 million soil samples were included this time, compared to about 3.4 million for 2005. The increase likely reflects more widespread and intensive soil sampling by producers, arising from higher and more rapidly fluctuating prices for fertilizers and crop commodities seen in recent years. In Eastern Canada and the northeastern United States, the soil fertility shifts varied. In many areas, soil test levels for potassium have moved downward since 2005. For example, in the province of Ontario the proportion of soils testing 80 parts per million or less in K grew from 15% in 2005 to 20%* in 2010. Soils testing in this range are likely to produce K deficiencies in almost any crop in the absence of fertilization. This trend is not surprising, considering that the amount of K applied to Ontario cropland in the form of fertilizer and manure was only about half that removed by crops in 2009. However, elsewhere the shifts varied in size and direction. In Pennsylvania, the distribution of soil test potassium hardly changed at all, while in New York and Virginia, it appears to have shifted upwards. Soil test phosphorus levels often fall into a bimodal distribution. A substantial proportion tests in the responsive range, but another large proportion tests at levels far above the critical level for crop response. The very high levels result from many years of historical nutrient surpluses. Such soils need to be managed in ways that eliminate the surplus, maximize utilization of the phosphorus fertility for the benefit of crop production, and minimize surface runoff and erosion to protect water quality. The frequency of very high soil phosphorus tests continued to decline in Ontario, but increased slightly in New York, New England and Pennsylvania. The soils of the region remain quite variable in fertility. Even in states and provinces with overall nutrient surpluses, many soils needing nutrient additions can be found. On the other hand, many soils have built up fertility to the point where inputs of phosphorus and potassium amounting to less than crop removal of the nutrient can continue for years. Of course, in such situations it would be important to monitor the decline with regular soil testing. Soil fertility rises and falls in response to crop nutrient balances. 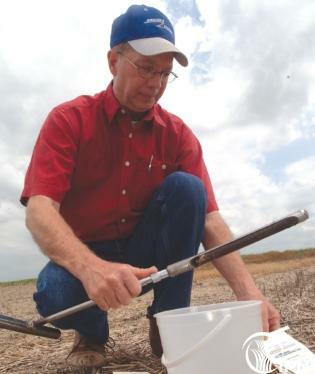 Nutrient surpluses raise soil test levels; deficits draw them down. It’s not always easy to predict how much, or what the consequences will be, so it’s important for the crop manager to monitor both as closely as possible. Recent surveys of soil tests and nutrient balances on the state and province scale point to the need to pay close attention to the same on the farm and field scale. So, nutrient decisions need to be supported not only by crop nutrient balances, and not only by soil tests, but by both. Using the two tools, you can manage nutrients sustainably. For information on P, K, pH, S and Cl across North America, see http://info.ipni.net/soiltestsummary. The following four histograms show the distributions of soil test P and K across the Canadian and US portions of the region. How representative is this summary? This summary, of course, cannot represent the soils that are not sampled. Comparing the numbers of samples to crop areas, in most areas at least a substantial majority of the cropland is sampled according to guidelines. For most situations, a soil test every 3 years is recommended as a means of adequately monitoring soil phosphorus and potassium fertility. Eilers et al. (2010) reported that in 2006 about 20% of Eastern Canadian farms tested soils less frequently than once in five years, while the rest sample soils more often. Quantity of contributed sample results is low in several states and provinces. An inexact time frame was given to labs. They were asked to contribute samples collected for decision making for the 2010 crop year, but the exact dates used in queries were left to individual interpretation. Not all sample results could be definitively associated with a particular state. It is likely that the better managers regularly test their soil and that their results may not be representative of those that do not soil test. Due to the requirement of nutrient management plans for many livestock operations, the percent of samples in the summary from manured fields could be higher than in the past for some regions and inflate soil test levels, especially for P. Summary protocol included separation of samples into manured and non-manured fields but these categorizations were left to individual laboratories to define and very few laboratories had those metadata. Although an attempt was made to define calibration equivalency for each of the soil test categories among the various testing procedures, it is likely that error was introduced in this process. Some laboratory data were submitted using categories other than those specified in the sampling protocol, and interpolation routines were created and used to translate between the two systems. Eilers, WR, R Mackay, L Graham and A Lefebvre (eds). 2010. Environmental sustainability of Canadian agriculture: Agri-environmental indicator series - report #3. Agriculture and Agri-Food Canada, Ottawa, Ontario.